Happiness: A Dirty Word at Work? 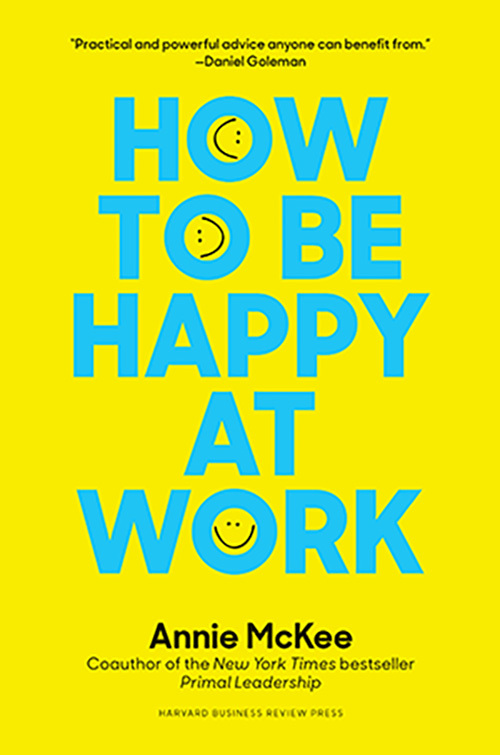 The pervasive belief that we should not seek happiness at work may stem from the time when our ancestors had to scratch a meager living from the land, when each day was a struggle to survive. They started working as soon as they could walk, and they didn’t stop until they died. Work was physically demanding and exhausting. Of course, this is not to say that every moment brought misery. If you’ve put your hands in the dirt and watched plants grow or if you’ve tended cows or goats or chickens, you know the deep and abiding satisfaction that comes from working with the land to feed your family. But it’s far from easy. Add inequitable distribution of land, disease, and poor weather conditions and you’ve got a recipe for illness, helplessness, and sorrow. As societies industrialized, the notion that work should be painful continued. It may have even gotten worse, as workers lost autonomy, the joy of seeing the fruits of their labors, and even fresh air. Instead, they found themselves in tedious, physically difficult jobs where they were forced to follow orders without question. The working class was (and still is) treated badly in many instances, and criminally in others. Managers then and now aren’t much better off. People accept long hours and unpleasant or horrid working conditions often in name of generating profit for a company—or executives, owners, and distant shareholders. Paradoxically, the pursuit of profit is also a driver of change and improvement. For example, as science showed that better physical space, lighting, and break time improved productivity, working conditions improved in some sectors and in some locales. Changes that address the psychological needs of employees have been slower to emerge, despite a vast amount of research that shows a direct relationship between how people feel and the quality of their efforts and output. True, there have been major shifts in the last fifty years or so, away from treating people as recalcitrant children and toward treating them as smart, responsible adults who want to, and can, make decisions and do a good job on their own. Unfortunately, though, the way people feel about their work is most often given lip service; the truth is that our opinions and feelings about what we need to be happy and engaged are largely deemed irrelevant and distracting. When we’re not trusted to think, we are insulted and resentful. When, as is the case in many companies, we are expected to diligently pursue goals that don’t jive with our values or our own hopes for the future, we become disinterested. When relationships are merely instrumental, and we have to accept being treated as a “doer”, not a person, we get mad. And, when we treat others that way, we can find ourselves feeling ashamed. Working like this is empty. It most definitely doesn’t call out our best. When work is meaningless, we feel adrift and untethered, confused and unhappy. This is at the heart of the disengagement epidemic in our workplaces. The myth that people—and our human needs, desires and dreams—don’t matter at work is at the heart of the disengagement epidemic that plagues many (most?) of our organizations. How did we get here?